Daniel Cassidy is challenging current race formats, adding team competition, improving the spectator experience, and even branding teams of professional triathletes. Our guest this week is an absolute maverick. Dan Cassidy earned his Bachelor's Degree in Political Science from College of the Holy Cross before starting his career in business and marketing. That career began on the Business Advisory Staff as a financial consultant at Ernst & Young. After working there, he realized that while he loved the company, his real passion was in entrepreneurship, so Dan founded Push Potential Marketing, a sports marketing and management company focusing on endurance sports companies, teams, events, stores and individuals. During his time at Push Potential Marketing, he volunteered as an ambassador for the The Eleanor Rocks Foundation. The foundation supports families with sick children in NICUs around the country. In 2013, he organized and led a fundraiser that raised over $12,000 for the Foundation. 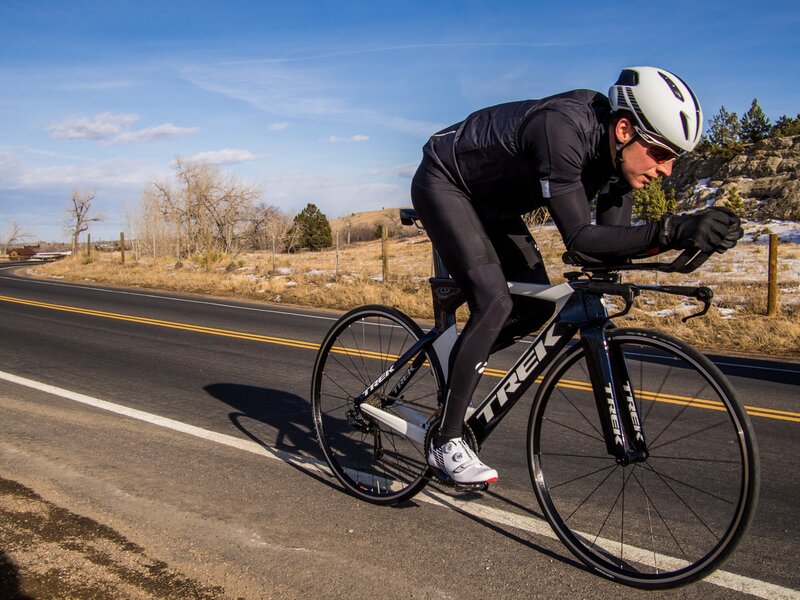 As an amateur triathlete himself, Dan isn't a stranger to endurance sports...but after his wife made him experience the sport as a spectator, he realized that something needed to change from the fan (and family) side of things. After finding his stride in the endurance sports world, Dan joined Major League Triathlon as the CEO. Started in 2016, Major League Triathlon is the first and only professional triathlon league in the United States and hosts races in major cities across the United States. MLT was formed with the goal of creating a more spectator-friendly version of triathlon and also aims to grow the sport of triathlon on both an amateur and professional level. Major League Triathlon pros compete in pop-up “stadiums”, allowing for a viewer experience unlike anything before seen in the sport; creating more than just a race, but creating a show. There are two unique components to the experience the Major League Triathlon creates. The first component is a festival, which includes a concert series, craft beer gardens, interactive expos, running events, games, kid zones, and more. The second component is professional team racing. Teams of two professional men and two professional women are aligned with cities across the United States. At each event stop, they compete against seven other professional teams in a Mixed Super Sprint Relay. The "secret sauce", according to Dan, is a sprint style race that can appeal especially to younger crowds and spectators as shorter courses. They also organize a "loop" style race where the entire race in contained within 1 square mile, giving spectators the opportunity to see every part of the race. Not only does the weekend create an incredibly engaging experience for spectators, but the races are also live streamed online where thousands more people can tune in to watch the show. When Major League Triathlon first hit the streets, they faced a good amount of skepticism. Now that the organization has hit its stride and started to build a following and a fan base, Dan is more encouraged than ever. With the goal to grow the sport in mind, MLT is hopefully something that the industry starts to see as a long-term fixture in the sport. That's it for this episode wrapper of The Triathlon BizCast. Make sure to listen to Dan's episode to learn even more about how Major League Triathlon is changing the nature of the sport with their sprint triathlon formats and spectator experiences. Dan is constantly looking for ideas, feedback, and constructive criticism, so don't hesitate to reach out to him at daniel@majorleaguetri.com.